ORLANDO — The Canadian dollar is getting an extra boost, thanks to SeaWorld Parks’ extended Canadian Resident Ticket Offer. Dates to keep in mind this year include the all-new Seven Seas Food Festival at SeaWorld Orlando. Taking place on 14 consecutive Saturdays from Feb. 11-May 13, the festival includes craft beers, paired wines, specialty entertainment and live performances from top country, rock and Latin artists. The park is also still riding high after the debut of its newest thrill coaster – Mako – Orlando’s tallest, fastest and longest roller coaster. At Busch Gardens Tampa Bay, guests can experience the park’s third annual Food & Wine Festival for an extended nine weeks of artists and food on Saturdays and Sundays between March 4 through April 30. The festival is included with any daily admission to the park. Another exciting new highlight at Busch Gardens is Cobras Curse, the only spin coaster of its kind in the world. Over at SeaWorld San Diego, guests can celebrate the Lunar New Year on select dates between Jan. 28 through Feb. 20. Festival highlights include performances by the Chinese Acrobats of Hebei inside Mission Bay Theater and Asian-inspired food and drinks. Also, the park’s Seven Seas Food Festival runs on select dates from April 1-30 and features sustainable food, craft beverages and wine and live bands. 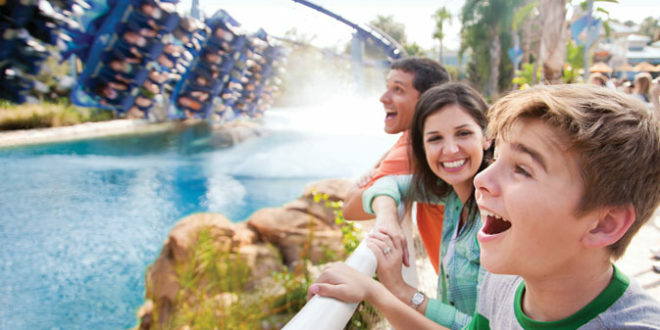 SeaWorld Orlando and Busch Gardens Tampa Bay Canadian Resident Offer is available for single day purchase through SeaWorld Parks travel partners Air Canada Vacations, Holiday Escapes, Sunwing, Transat, TravelBrands and WestJet Vacations. SeaWorld San Diego Canadian Resident Offer is available through SeaWorld Parks travel partners Air Canada Vacations, Sunwing, TravelBrands and Westjet Vacations. Proof of Canadian residency is required at the front gate. Visit seaworldentertainment.com.